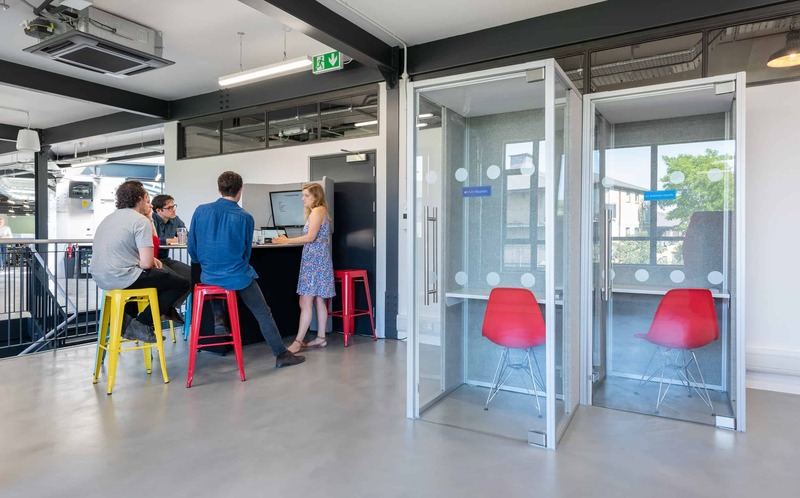 What3words is a geocoding system for the communication of locations, using a grid of the world made up of 57 trillion squares of 3 metres by 3 metres. 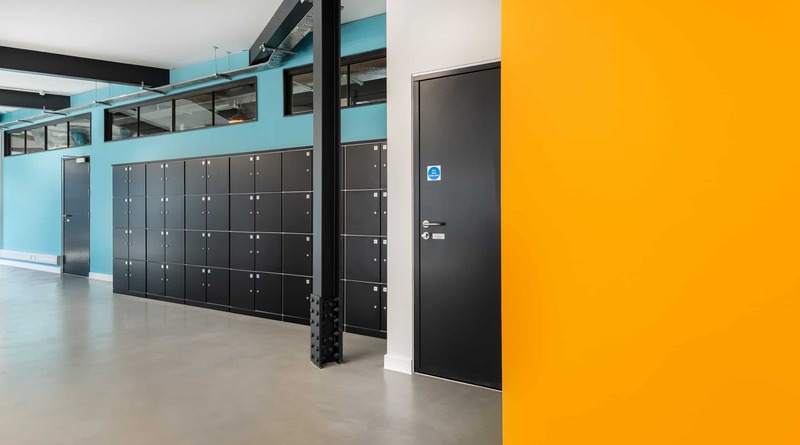 As the company grew, they appointed Space to design their new industrial style, collaborative office in Notting Hill. 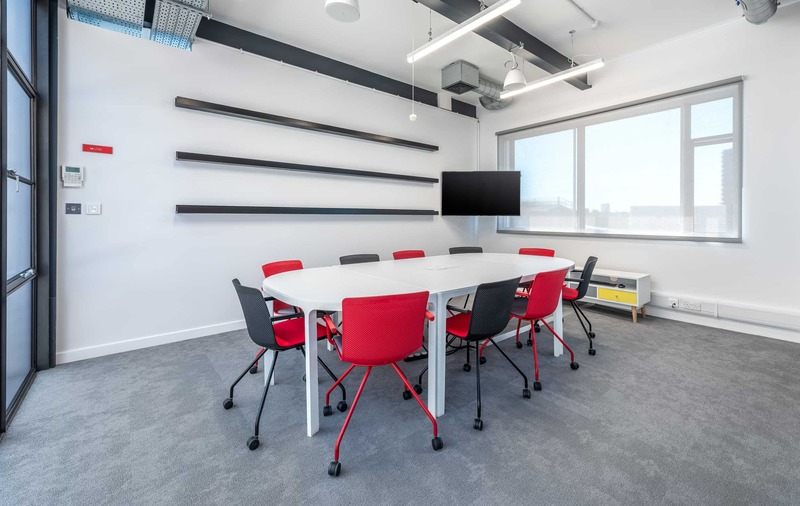 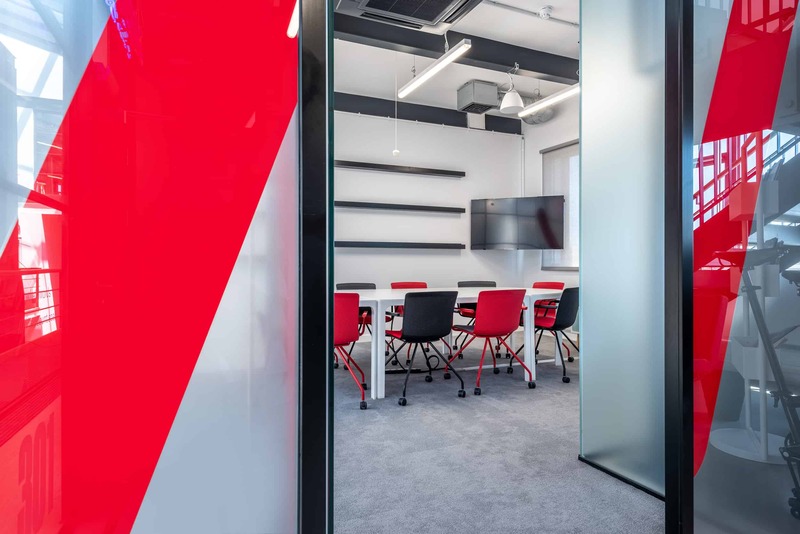 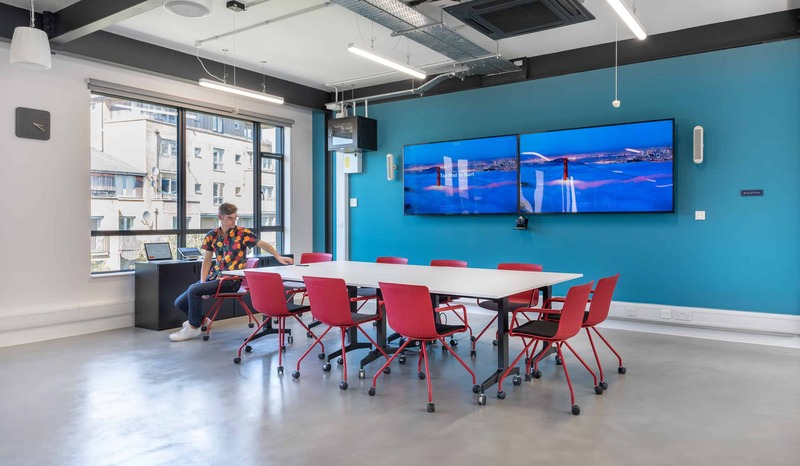 The aim was to put up as few walls as possible, install furniture that enhances collaborative working, and sympathetically enhance their brand. 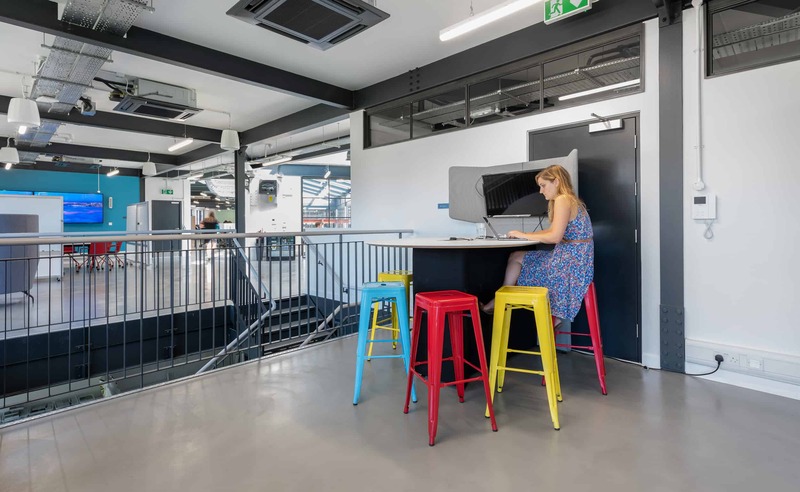 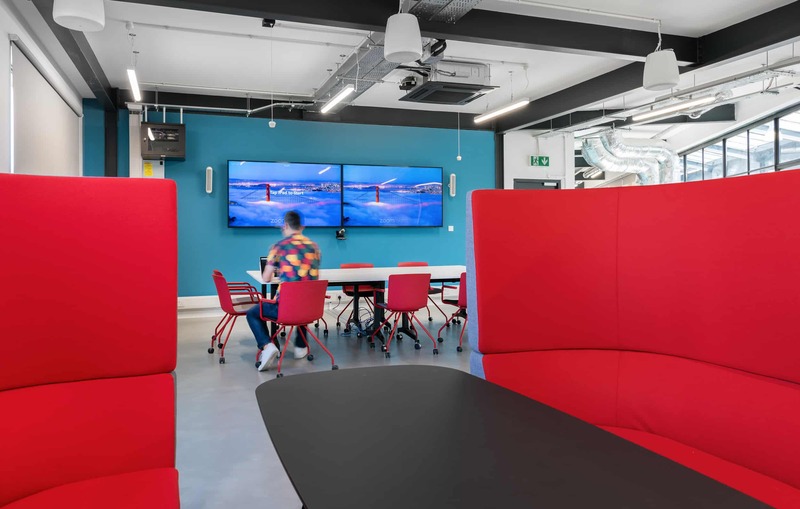 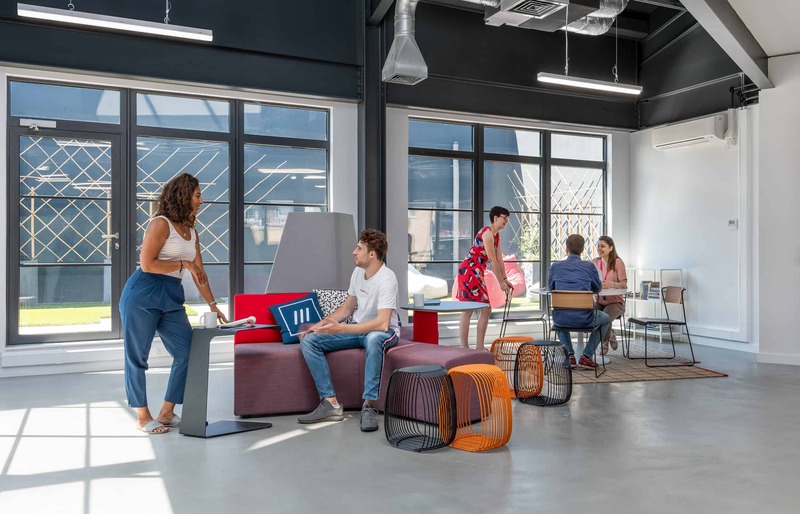 The open plan area comprises a “dark side” and “light side” with a mix of bench desking, broken up with larger collaborative hot desking tables. 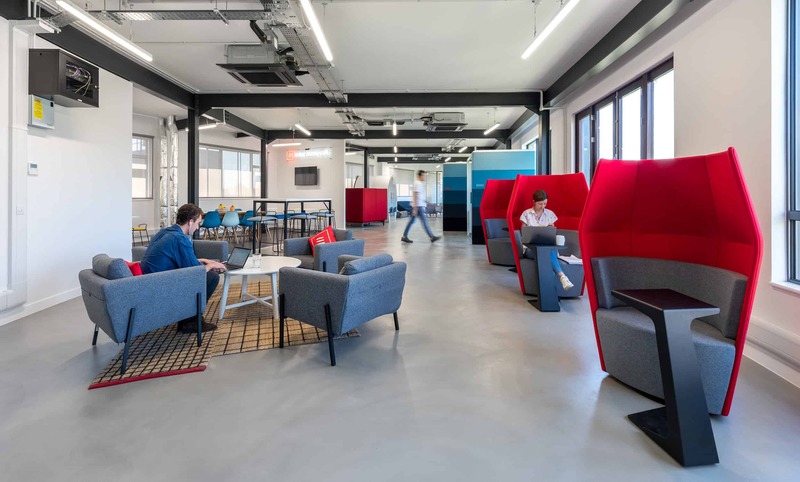 The collaboration zone is designed to promote co-working and enable company-wide meetings, whilst providing quiet areas for private working. 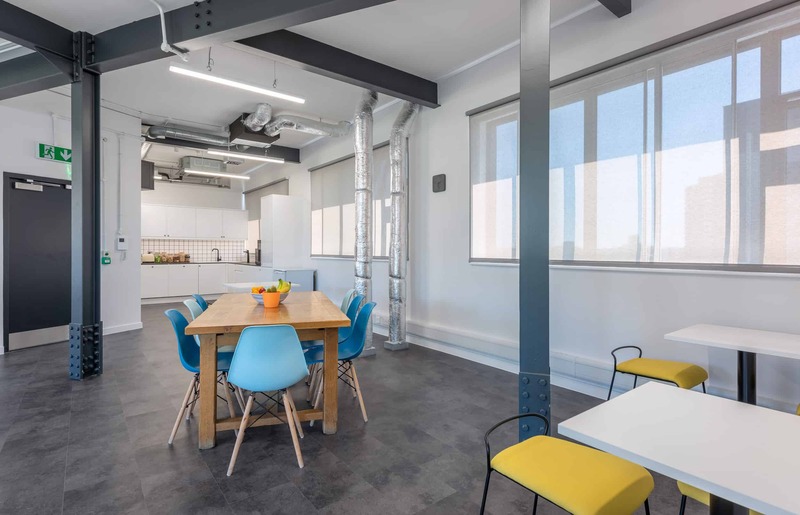 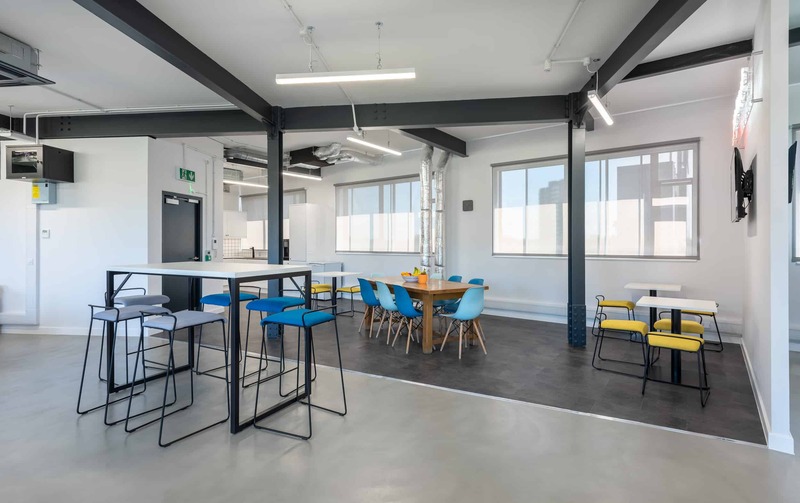 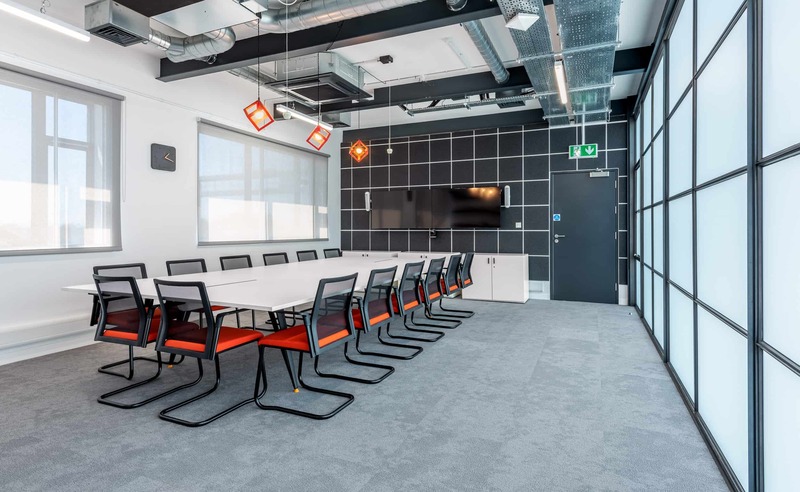 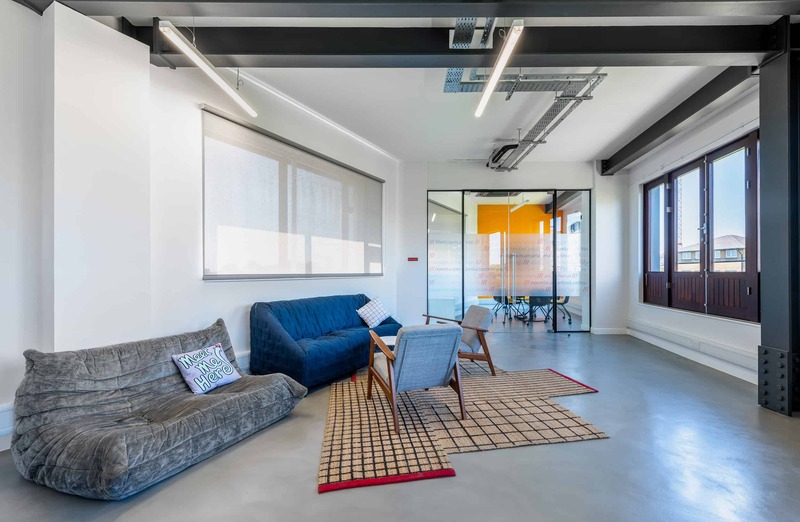 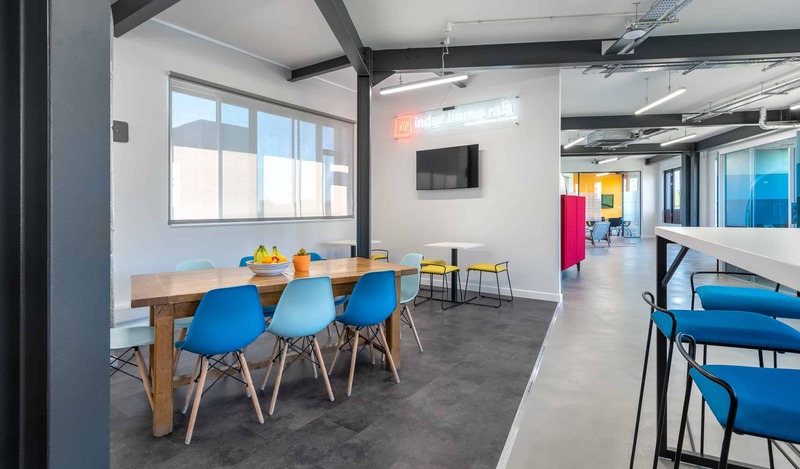 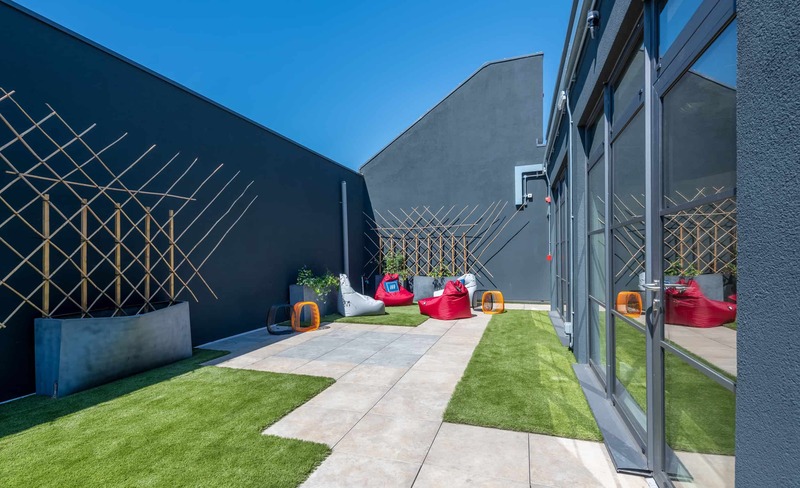 Feature pieces of furniture in brand colours make the space pop, and strengthen brand identity, whilst softening the hard nature of the industrial style of the building. 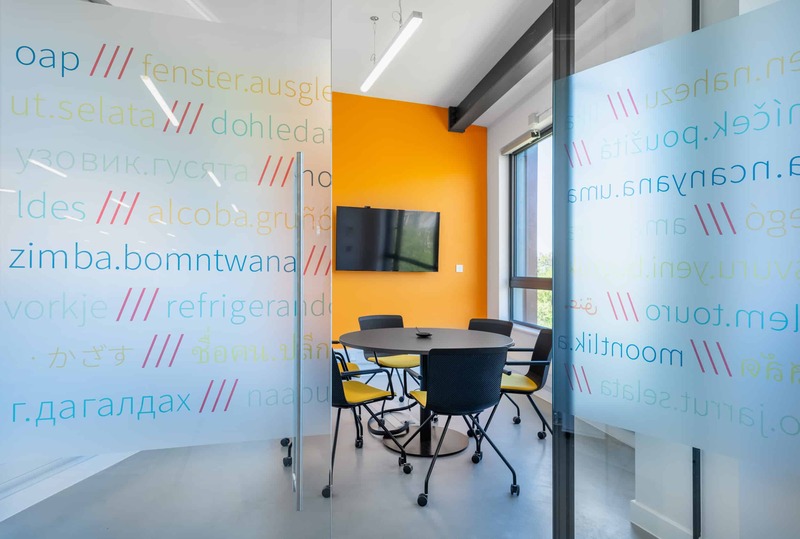 The team were attentive and reactive in all the best ways. 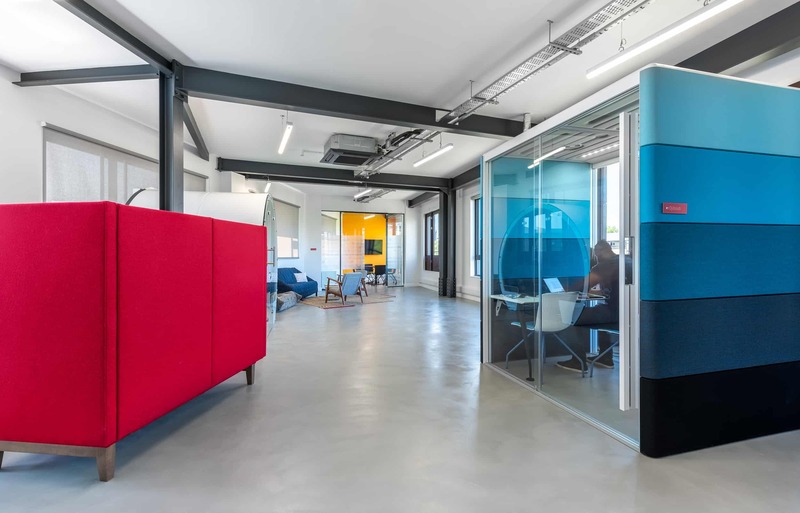 They managed to interpret our brand values and help us make the best use of an awkward space. 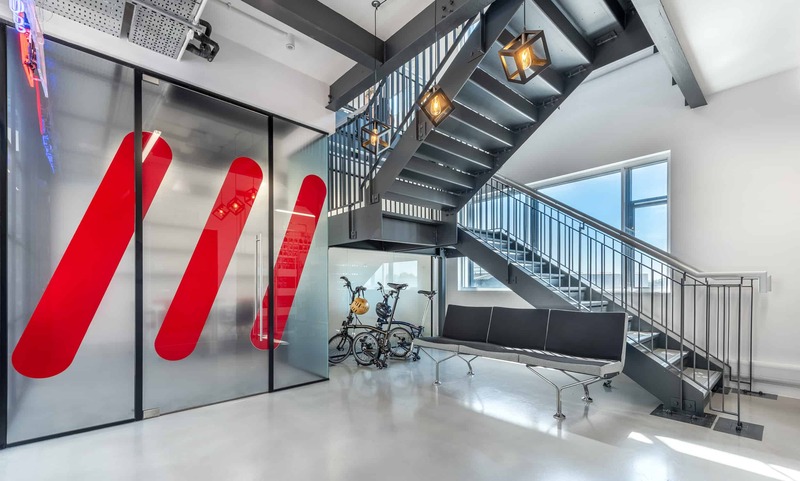 Everyone is very happy with their new HQ and I’m looking forward to watching it grow.